Inspired by luxury outdoor furniture, our Open Air Lifestyles, LLC commercial wicker patio furniture sets bring trendy style to your outdoor seating arrangement. 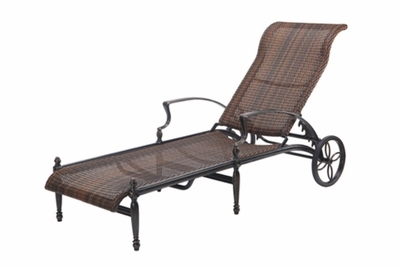 We carry an elite mix of outdoor patio furniture that provides luxurious indoor style for the outdoors. Your guests will be impressed with its style, opulence and comfort. A must have addition for your commercial resort, garden or pool area. * Dimensions: W: 30.0" D: 68.5" H: 43.0"